What do you know about genterfication in Oakland? When you probably hear the term gentrification you think, white people coming in and making the rent go high. However, the definition is: the process of renewal and rebuilding accompanying the influx of middle-class or affluent people into deteriorating areas that often displaces poorer residents. Some might think the cause is because new coffee shops and because Oakland is being made up nicely white people are welcoming themsleves. 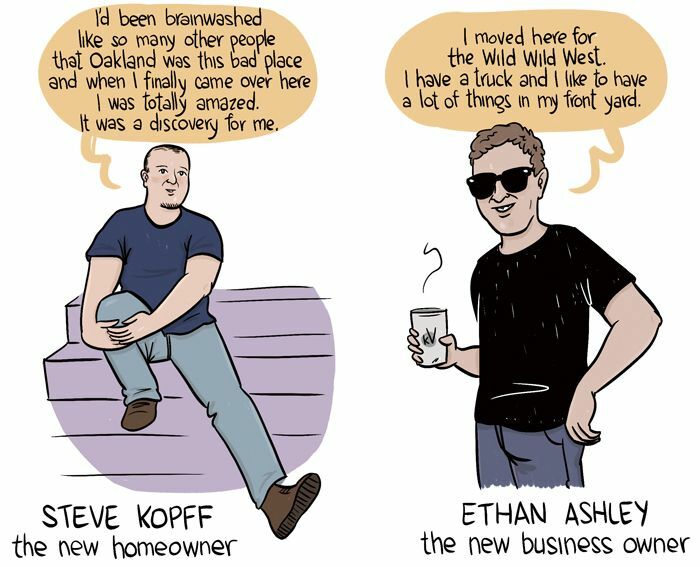 Another major reason why, people are coming from San Fransico becasue of the ridiculous high rate of rent, however, causing the same probelm for Oakland natives. In the World War II, new war industries influence the mass and development of migration of African American soming from the south to get better pay and treatment changing culture, politics, and society. A lot of those cities that were effected by the change where there were shipyards built for African Americans to work, was San Fransico, Oakland, and Richmond causing " white flight". Oakland used to be filled with beautiful mansions owned by white peole but didn't want to live near any African Americans therefore, moved leaving what we now know to be West Oakland. Another cause people believe is redlining which is: the practice of denying services, either directly or through selectively raising prices, to residents of certain areas based on the racial or ethnic makeups of those areas. This act forbidded African Americans to try to live inPeidmont, or the Hills making them having to stay in poor neighborhods sic as East or West Oakland. 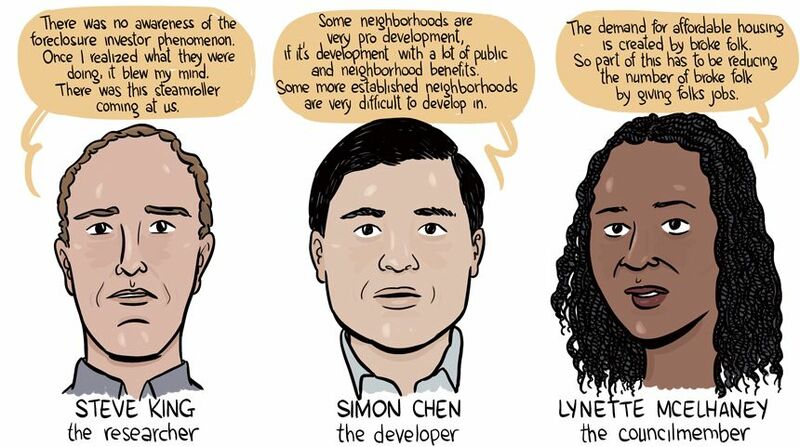 What's So Bad About Gentrification? The probelm about gentrification is that it is pushing people out of their homelands, into cheaper suburban areas. Washing away the life peole lived and learn to make for themselves. People come to Oakland to find out that it wasn't as bad as they heard on the news then find the beauty that natives have since they were born. Its also more than people losing their homes, and being moved out into the suburbs, but how it effects the communtiy. The community losses its sense of unity, and engagement with the neighborhood. I see the difference myself when visting my Aunt in North Oakland from what it was like about 5 years ago with kids playing the streets to white people walking their cats. With that being said what is so horrible about gentrifying is the lost of authenticity, and the altering vibrant ethnic backgrounds then turning into a very dull town, with an uninteresting story on the residents got there. There are some benefitial effects fro gentrification, becasue it mostly comes after a poor city as been renewed, and better living for the residents. However, waht the issue is the rent causing native residents to move out to far away neighborhoods such as Stockton, Concord, Antioch, or Rodeo. As the people of the community I feel it's our job to demand what we want and take action, before someone else does it for us. With the price of rent of housing is not in our control too much, but othe tactics can be tried. Research has shown that there are ways to prevent gentrification from continuing taking over our cities. One tarts of with building more middle-income housing. Voting on freezing or reducing property taxes fotr long term residents with a statement of legislature. Make smaller development scales in order to be able to afford the rent after fixing it up. Lastly more production of homes in order to give incomers home, without kicking anyone out.